Get Lean and Stay That Way with Less "Effort"
Why settle for only a 'body improvement book' when you can get one to build your body and help improve everything else in your life as well? What will this incredible book do for you? How Come Every 'How to Gain Weight" Article Looks the Same? Even if you have experience at driving race cars, pretend you don’t for the sake of this example. Imagine you’ve always wanted to drive a race car. You decide to get inside a stock car one day and do laps around a track at high speed. Yet you have no experience – no real instruction on how to drive such a high performance car at very high speeds. So what happens? You negotiate the race track inefficiently, swerving on the corners of the track, fishtailing and side-swiping the wall with the back end of your car. So what do you do? Well, you decide to read magazines containing articles about how the top race car drivers do it. You try to emulate the pro drivers in hopes that you’ll be able to drive the track as fast and as well as they do. But here’s what you don’t see right away: The pro drivers are using hidden advantages. They have cars with faster engines, better maneuverability, along with engine additives that make them go faster. Moreover, they’ve practiced their driving skills while having all these built-in advantages. "I have received my book from you and have almost finished it. First, let me congratulate you, it is fantastic. It's far above any others I have read, and I have read and bought many in my 50 + years of training and interest in bodybuilding. You sure know your stuff.....Well done!!!!" Of course, the magazine publishers don’t tell you this. They keep pumping out articles containing “secrets” about how the pros do their driving. They tell you that if “you just use this special fuel – you’ll go faster. If you just use this ‘natural’ engine additive – you’ll get the results of the pro driver. Meanwhile, the professional drivers are using stuff that changes the game completely. They’ve illegally modified their engines. They’ve illegally modified their chassis. They’re adding chemicals to this modified machinery that completely takes them out of your driving league. Yet you keep trying. You add the “natural” engine additives and fuel they’re selling to your car. You attempt to drive at their speeds and keep hitting the walls because you don’t have the unfair advantages. Their speed impresses you so much that you subconsciously dismiss the REAL reasons they’re driving at high speeds and you’re not. It’s that this industry is different than most others. The example above sounds ridiculous within the context of race car driving. Yet it describes much of what’s happening in bodybuilding and fitness. Steroids have changed the game completely. They distort the realities of what it takes to get a nice body. What’s more, they’re used more often than many people realize; even a lot of “fitness models” on the covers of magazines have “juiced” in order to get their appearance. The point is that if you train without taking steroids then you need to go about it in a VERY different manner than how they tell you in magazines. You even need to do it differently than many of the “gurus” on the Internet tell you to do it if you want to make ongoing and exciting progress. Ever wonder why some bodybuilding supplements “work” for a while… then they stop working? Do you ever wonder how you could get the perfect supplement – in just the right amount – so you get maximum muscle with minimal time, effort, and money spent? 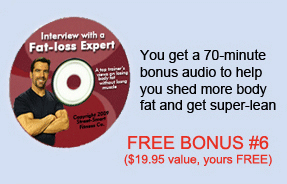 Would you like to erase the terrible frustration that accompanies so many people who want to get lean, hard, and muscular? "Thanks for everything. I thought I was in shape all this time, but now I know I can improve with your method. That was the BEST DAMN $40 and change I've ever spent when I bought your book." "
If your answer to any of these questions is a resounding “Yes”, then you and I are on the same wavelength and you’re in the right place. If there were ever a SECRET I’ve learned in my 25-plus years of natural bodybuilding, it’s expressed by one word: Synergism. It takes a synergistic combination of inputs to get the best muscle building output with the least amount of time and effort. If just one of these inputs is “off”, you’ll cut your body building and fitness progress short. When that happens, it doesn’t fair well for your time management, pocket book, or motivation level. … How can it be? The bodybuilding and fitness industries have been feeding us a false bill of goods. Bodybuilding supplement companies push dozens of worthless supplements on unsuspecting consumers through endorsements by drug-bloated professional bodybuilders. Bodybuilding and fitness “gurus” on the Internet present bodybuilding routines to those who are tired of spending their money on supplements. Many of these “experts” tell you that ALL supplements are worthless in order to sell you their programs. New supplements with high-tech names “work” for a while because of the placebo effect. By the time they stop “working”, the company marketing them hits you with a new worthless powder that another steroid-loaded pro bodybuilder claims he uses. Even many of the bodybuilding workout programs sold and downloaded digitally online stop working for a good many natural bodybuilders. That’s because they espouse a one-size-fits-all type of formula. … And many of the “natural guys?” Hey… it’s too easy to ‘cheat.’ A “training expert” can easily build his or her body with drugs – then start passing themselves off as an expert in natural training. I’ve seen many people do it in my two and a half decades as a natural trainer. The worst part is that they never learned how to actually ‘build muscle naturally.’ Then… without really knowing what they’re doing – they pass on faulty information to the unsuspecting beginner. "Thank you so much for the wisdom of your book—it has been nothing short of incredible (and my wife certainly appreciates the results)! 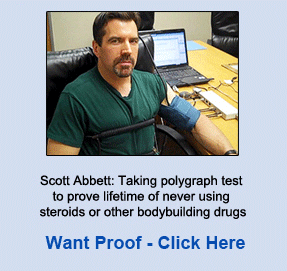 During my early 20s I was in excellent shape but unable to develop consistent strength gains. Subsequent years of lapsed or inconsistent fitness training packed on twenty+ very unnecessary pounds. During the last eight years (I am now 37) I have become an almost obsessive health researcher and managed to shed the weight. Thankfully, my diet and supplementation is currently where it should be...but I was still unable to develop consistent strength gains. Until I read your book. Thanks again for your book, I am a VERY grateful client." When you utilize the principle of ‘synergism’, your muscle gains come quickly and steadily. That’s because each effective bodybuilding element becomes part of a whole that’s greater than the sum of its parts. You get stronger. You lose body fat more easily as the calorie-burning furnace that is your muscle mass puts your metabolism into overdrive. That’s fun and exciting. You might be using one of the very few bodybuilding supplements that can actually help you – but if you train poorly, you’ll get nowhere. You might have a good bodybuilding workout routine – but if you don’t know how to maximize it with super-charged mental power, you won’t get the most out of it. You might have both a good routine and a decent workout mindset – but if you don’t know which bodybuilding supplement can be added to the mix for a powerful, one-two punch, you’ll lose out on what could have been exciting and rewarding muscle gains. But… when you now find out how to combine these things synergistically – you’ll have a secret that will give you true POWER. That power is in knowing you can change your body for the better whenever you feel like it. 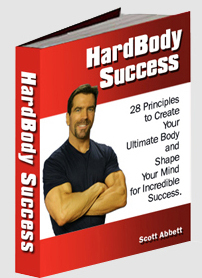 This is what HardBody Success is all about… along with using the body and mind building insights gained along the way to enhance performance in other important areas of life as well.